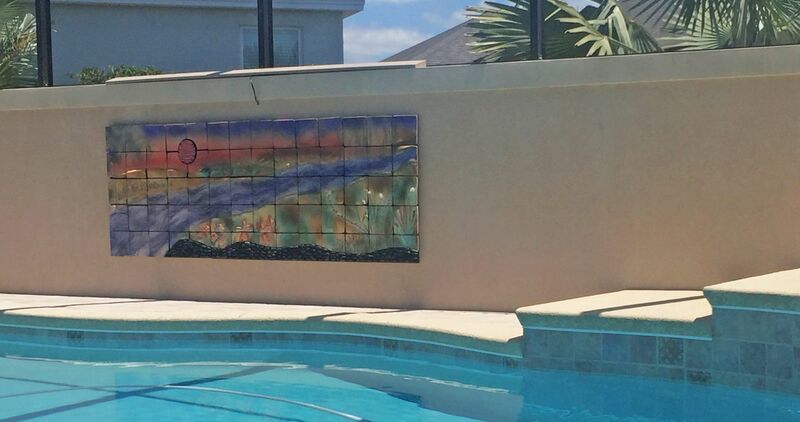 Michele & Chris are the happy owners of this 3' x 9' wall sculpture which adorn the main wall of their outside lanai. We worked on the design, composition, and creation of the sculpture over the course of about 4 months. Chris had lights put in over the wall art so it changes with the sunlight over the course of the day and provides magnificent light and movement well into the night. 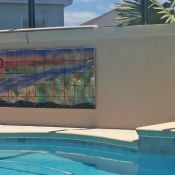 Here's more on their story of Commissioning a Wall Sculpture for their home.